The problem occured due to various reason as mentioned below. CASE 1:- Mail file templete associated with the mail file is corrupt. CASE 2:- Corrupt Cache.ndk file. CASE 1:- 1. If the mail file located in server or it is a local replica of mail file, then the mail template design has to be replaced from server by Lotus support. a. 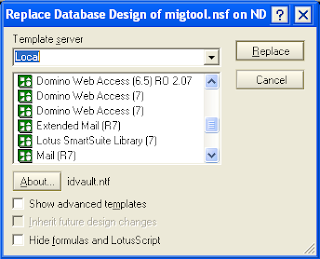 To change the design template of local notes databases, user need to have minimum designer access to the database for which design got corrupted. If it is not there then create a new copy of corrupt database without ACL. b. Right click on the corrupt database and select replace design option. Once selected, the below window will appear. c. Now select the proper template server & the design template. once selected, click on Replace button. It will replace the corrupted design template with a selected design template. CASE 2:- 1. Open the cache.ndk (File -> Database -> Open, and in the File name box, type "cache.ndk"). 2. 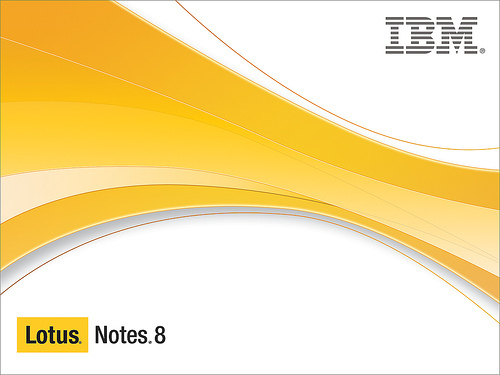 Go the (byurl) view, select all the documents and delete them. Note:Following the steps above could result in losing settings for views (column order and column width). However, deleting the cache or removing documents from bookmarks can have the same effect. Another common cause is a corrupt desktop6.ndk file as well as a corrupt cache.ndk. For those cases, in addition to performing the workaround described above, the user also had to rename the desktop6.ndk, which Notes recreated upon restart. However, the drawback to renaming the desktop file is that the user has to rebuild/reselect all desktop icons previously on the Notes Workspace.